Depending on how you react to a bee sting, a single one can prove to be deadly. Most people aren’t overly harmed by bee venom, they only experience some pain and swelling, and that’s it. However, people who are allergic to bee stings will feel much more than that and can go into anaphylactic shock. Even if you’ve been stung before and are pretty sure that you’re not allergic to bee stings, there’s always a chance that you may react differently when you’re stung by many bees at once. For this reason and more, you need to know how to survive a bee attack. Let’s start at the beginning. If you already know that you’re allergic to bees, then make sure to carry an EpiPen with you. This injection device carries a dose of epinephrine, which can stop anaphylaxis in its tracks. You still need to get to an emergency room as soon as possible, but it will definitely help you survive a bee sting while out in the woods. Other proper precautions involve being able to identify a beehive from a wasp nest. Once you know what each looks like, you’ll be able to avoid them. Bees tend to make their hives just about anywhere. These waxy looking nests appear in trees trunks and stumps, walls, roofs, and the ground. Yellowjackets, which are a type of wasp, make their nests in holes in the ground. These insects look like bees, thanks to their distinctive yellow and black coloring. However, they’re smooth – not fuzzy like a bee – and are slightly larger. 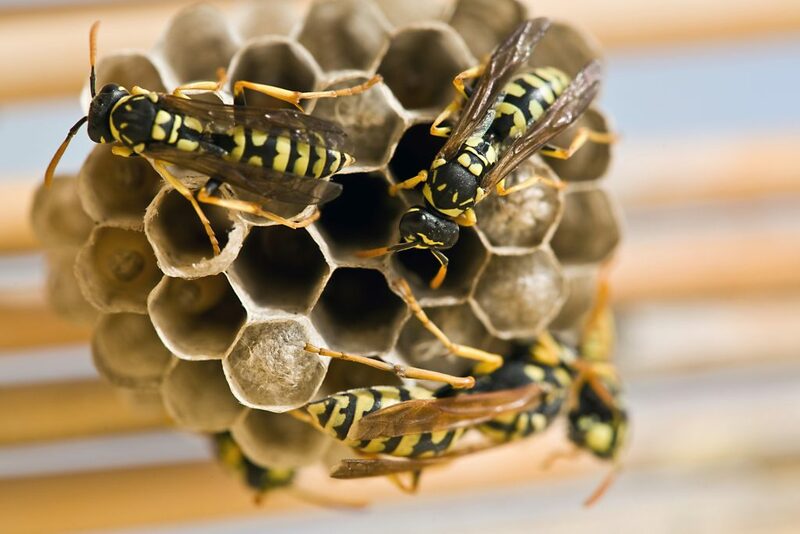 Hornets and paper wasps build nests that hang from tree trunks, branches, and even the eaves of a shed. 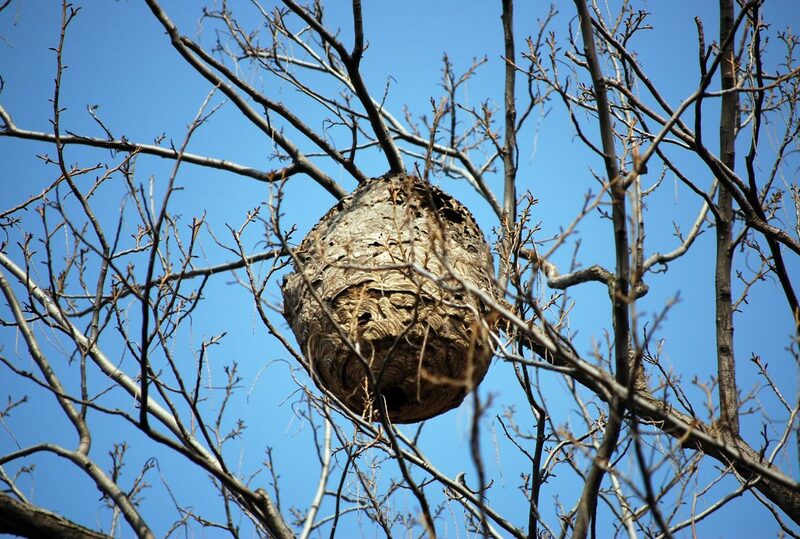 A hornet nest is football-shaped, while the ones built by paper wasps look more like an umbrella. Another thing that you can do to survive a bee attack is to dress appropriately in order to avoid attracting them. Bees go for people who smell sweet, like flowers, so avoid wearing perfume and using scented lotions when you know that you’re going to be outdoors. You also should wear shoes at all times when outside, in order to avoid getting stung should you accidentally step on an underground beehive. Wearing a long-sleeved shirt and a pair of pants is always a good idea; it’s even better if they aren’t brightly colored. This will prevent the bees from getting to any skin that’s exposed. If you do encounter a single bee or wasp, the best thing to do is ignore it. If you swat at the insect, it could attack. On top of this, it could release a certain type of pheromone that attracts others from its colony. Before you know it, you’ll be dealing with a swarm. To put it bluntly, swarms are no fun. These clouds of stinging insects will swarm around you and do everything that they can to attack. 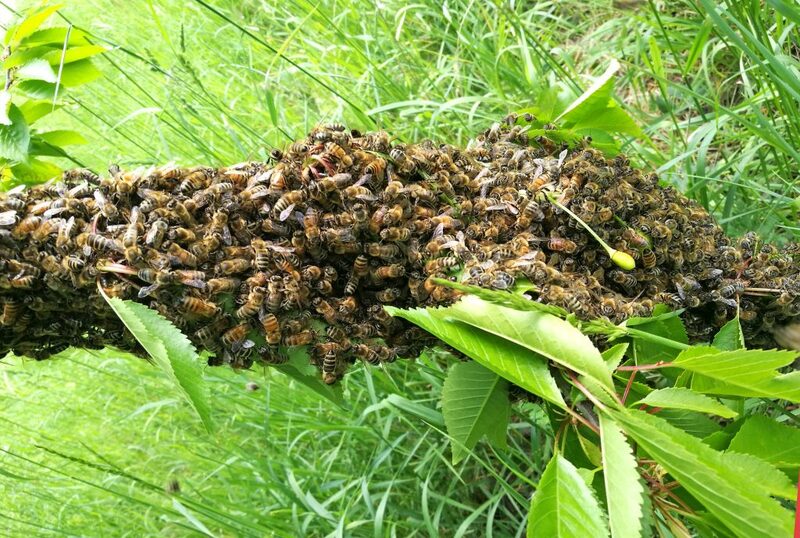 In order to survive a swarm of bees, you need to get away from them as fast as possible. Run until you reach shelter indoors – someplace where the swarm can’t reach you. Whatever you do, don’t swat at the bees while you’re running away. This will just make them angrier, and they’ll increase their attacks. You might be tempted to jump into a pool of water at some point, especially if you’re far away from the shelter. However, the bees will just hover around until you resurface, then they’ll begin to attack all over again. Finally, if you can pull your shirt up over your head (this is a good reason to wear layers), you’ll be able to protect your face from the bees. Bee attacks can be extremely dangerous, especially if you’re allergic to their venom. Hopefully, you now know what to do when you encounter them.